This topic contains 584 replies, has 370 voices, and was last updated by Asking for a Friend 3 weeks, 4 days ago. I used Becker as my primary learning material. For those who do the same and use ninja as a supplement, don’t worry if your average is low, just keep going it pays off! For AUD, I really think if I had a little bit more time reviewing, it would've pushed me over to get those extra 2 points. I was trending 93 because I almost completed getting all the questions correct, but I didn't get to do the REVIEW component of Ninja MCQs. And I wouldn't have passed FAR without Ninja MCQs. Additional Comments: I've taken Reg before with Becker and failed with a 57, retook a year later with Ninja and passed! *My exam shut down three times during testing. I only studied SIMS the day before the exam and most of my time (~90%) was focused on my weak areas. 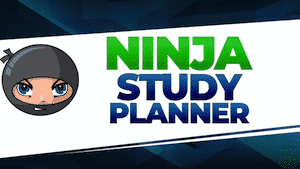 NINJA is what I will use for my last exam…I can’t recommend it enough. 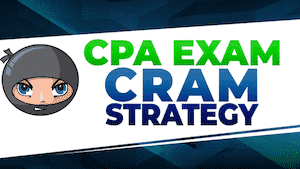 Some how, some way...I will become a CPA! Jeff/Ninja, I freaking love you! "Stu, it's 4 o'clock in the morning. Why on Earth are you making chocolate pudding?" "Because I've lost control of my life." This is my last exam and now I'm done! 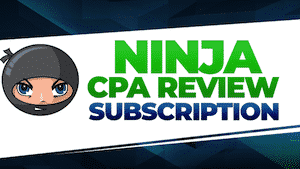 Thank you NINJA CPA!! I decided I wanted to post this to give Ninja Cpa some credit, as they were essential for passing FAR, AUD, and REG. The questions for WIley and NInja were so different for BEC, I decided to just stick with Wiley. Passed in 4 tries. Good luck everybody! Additional Comments: Ninja only. started with notes, then audio/MCQ/videos. Along w/ Reg my least comfortable section, and got sidetracked by milestone life events so this was the least I studied but wanted to give it a wing before the window closed rather than wait more months to try. Only 151 MCQs… yikes (Avg 59%). Did well on sims in practice exams tho, MCQ wasn't strong suit and certain topics pulled down my avg. 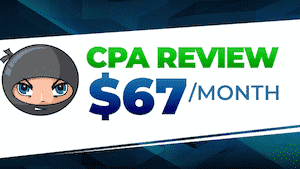 Practice exams (NINJA and AICPA) helped. AUD, trending 70-ish, actual score 95. Forgot how many questions I hadn't seen, but it was at least 200 or so. Used wiley and supplemented last month with Ninja (worth investment). Completed all questions for NINJA except Blaw. Completed all MCQs for Wiley except Blaw. Repeated Wiley MCQ individual, property and corporate MCQ and read all the answers in detail and corresponding material few days before exam. Havent focused much on SIMS except did few randoms in Ninja and Wiley. Made sure I understand each MCQ topic very well. Blaw just read the material high level, did few selected MCQ's few times. Ignored few topics. Ethics covered every MCQ in detail and read noted. Key focus was on property, individual and corporate. Finished exam in 2hrs 15 mins. First set of MCQ was done in 15mins. International reciprocal candidate with CA Australia. Used Wiley for my main study course and supplemented with Ninja for the last two weeks. Finished all MCQs in Wiley test bank except for cost accounting, which I only did about half of. Consistently scoring in the 60s at the end of the Wiley test bank. Studied ninja notes to nail key concepts and switched to ninja MCQ test bank the week leading up to my exam for fresh questions. Hammered MCQ with ninja until the night before my exam until I got my trending score 75%. Got through 320 MCQ with ninja. For anyone struggling with IT questions like I was, just do MCQ till you cant stand it anymore and then do more, easy study area if you do enough questions. 3500 questions over one month. I have posted some similar things in the past in the AUD study group, but I feel that the new MCQ trending scores are not calculated the same as the old system. On FAR and REG, my trending score updated much more frequently and was much closer to my average score. 63% trending to 83% actual is a pretty larger variance. 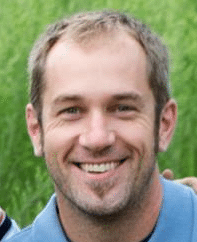 Additional Comments: 2400+ questions. Becker and NINJA.